It’s June, which means that the corporate-reform nest, the National Council on Teacher Quality (NCTQ), will be publishing a fresh set of useless teacher training program reviews. NCTQ “rates” teacher training programs based upon artifacts. An NCTQ rating does not require a site visit. NCTQ even hires students and others to gather the superficial information upon which it bases its ratings. What is truly sad (and particularly telling) is that NCTQ will even grade a program that doesn’t exist. Now, that has to be embarrassing. So, in an apparent effort to demonstrate a credibility that it cannot possibly have based upon the superficial manner in which it “grades” teacher preparation programs, NCTQ accepted an offer to partner with the University of North Carolina (UNC) and Vanderbilt University in a 2015 study of NCTQ’s teacher prep ratings. UNC’s report can be seen here. With our data and analyses, we do not find strong relationships between the performance of TPP (teacher prep program) graduates and NCTQ’s overall program ratings or meeting NCTQ’s standards. Overall, the review found most teacher prep programs were in the lowest [NCTQ] program score category, or Level 1, with less than 7 percent earning a program rating in the highest level category, or Level 3. The implication was that graduates from low-performing programs would be less effective at raising student performance, but the latest study uncovered little evidence that such is the case. That assertion is based on the finding that classroom teachers working in North Carolina who graduated from programs that meet NCTQ’s standards were more effective at raising students’ test scores in 15 out of 124 comparisons — or statistical tests — and less effective in five comparisons, and no different in 104 comparisons. But for Kate Walsh, president at NCTQ, the findings tilt in favor of NCTQ’s ratings as indicators of quality. “There are more positive findings than negative,” Walsh said. “You can’t really walk away from this concluding that the standards do or do not lead to more effective teachers, because there’s too much missing data,” Walsh said. Excusing the poor outcomes of her NCTQ ratings due to “too much missing data” does not bolster Walsh’s argument for her passing judgment on teacher training programs regardless. 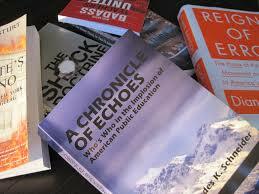 For an enlightening read on NCTQ, I suggest chapter 18 in my book, A Chronicle of Echoes. The chapter includes documentation that NCTQ has since purged from its website, including two letters from university training programs refusing to participate in NCTQ’s review. In her response to the study’s findings, Walsh appeals to university teacher training programs for “increased cooperation” in NCTQ’s unaccredited-yet-highly-publicized judgments. Any university considering cooperating should first read my NCTQ book chapter before firmly refusing. The first formal assessment of an assessor in existence for 15 years. Ironic. Since Walsh’s NCTQ review is centered upon artifacts, it happens whether universities want it or not. The study of the NCTQ Teacher Prep review was undertaken by NCTQ in collaboration with the University of North Carolina and Vanderbilt University. The universities were brought in to give the study credence that would not exist if NCTQ were to go it alone. But the fact that the researchers and NCTQ had different spins on the findings shows that the relationship between NCTQ and higher ed is still an uneasy one. The study also examined teacher evaluations but failed to establish a strong relationship between good teacher evaluations and NCTQ standards, according to Henry. I do take issue with the term “higher performing teachers,” which has become a euphemism for tying teacher professional value to student standardized test scores. But the fact that a formal study now exists demonstrating that NCTQ ratings also bear no significant connection to student test scores I find to be vindicating. Such formal review of NCTQ “findings” should happen every year. Every year. In closing, let me note that on Thursday, June 4, 2015, fellow blogger and velvet-tongued interviewer Jennifer Berkshire plans to speak with Vanderbilt University prof, Dr. Gary Henry, about his work in reviewing NCTQ’s ratings process. She will be posting this interview to her Edushyster blog. These reformers left no stone unturned in their plan to destroy public education at all levels. We’re it not for the researchers and determined activists like you who understand and revere the importance of and relation between democracy and public education available to all, they would have been successful. According to the 3rdrailpolitics site, Kate Walsh, president of NCTQ, is the sister of Ohio state Sen, Peggy Lehner, who is a founder of Conservative Leaders for Education (CL4E). A post at CL4E, listed recommended candidates, for Trump’s Sec. of Ed. They included, among others, DeVos, who was the winner, a former president of Pat Robertson’s university/educational consultant to the Gates Foundation, and a Fellow of the Gates-funded Aspen Pahara Institute. Lehner chairs the Ohio Senate committee on education. “Then finally, Kate Walsh, a no-nonsense kind of gal with a lot to say and so little time, comes to the microphone and begins her PowerPoint presentation. “Then she starts in on how no one is able to tell how well a teacher will do, and that it is not based on the amount of education that they receive, or on the courses that they take. “She says that someone with a Masters degree is no more effective a teacher as a teacher without an advanced degree. She said that it has to do with experience, and that teachers do not reach a point of being ‘effective’ until their 4th or 5th year of teaching. “She went on to say that the worst teachers are first-year teachers. They are the worst teachers that a child can have. That’s what she said. “So OK, let’s see, we are to believe this premise, no questions asked. Well, that’s a lot to swallow. So she is saying that you don’t have to be that well-trained or educated to be a good teacher. In that case, maybe my dog could qualify in her program. “She goes on to say that every, and I do emphasize EVERY, study that has been done so far shows that not only does teacher training not have a positive impact on teaching, but that sometimes it even hampers the effectiveness of teaching. “She made a big deal about teacher absenteeism in Seattle. 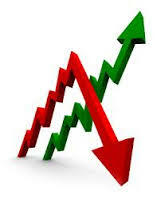 We saw a few graphs and charts on that, and then she went on to ‘objective data to evaluate’ a teachers performance. This part got interesting. She said ‘not necessarily standardized tests,’ but could have a district-wide conversation about how, let’s say, French teachers know when they are being ‘effective’. “Whoa, I think that there is a third rail appearing and it might be standardized testing and student assessments. “Again, ‘huge achievement gap’ was thrown into her presentation kind of out of the blue. “Wait a minute. What about all of that stuff in the report about student assessments and teacher’s performance being evaluated by, gee, I don’t know, using standardized tests? Not a word. It was over and from what I could see, the people were left wanting. “$14,000 for this? I could see people kind of wondering what this was all about. It didn’t seem like much from all of the hoopla that had been generated about this presentation. What they didn’t know about was the rest of the report. “After that, the SEA Director got up and did damage control about first-year teachers and mentors, about losing $9M in state funds, and about errors in the report that had not been corrected. “Our superintendent then got up in her red jacket, and said a few words like this would provide ‘more information for dialogue’, something about ‘data points’ and the ‘horrific gap’ in terms of, I guess, black students and white students. “Then there was time for Q & A. “Someone got up and challenged girl wonder Kate about continuing education. He mentioned the fact that doctors and other professionals take courses that benefit their practice, and how could she say that courses taken by teachers and Masters’ degrees had no value? “He also mentioned the fact that the study that she was referring to that made her case—about the fact that additional education was not needed to be an ‘effective’ teacher—was paid for… by Bill Gates. “She started to back peddle, and said that it was the ‘structure’ that is in place, and not the course work itself that was not effective. “I had to shake my head and audibly said, ‘No,’ although she was not asking me the question. “That was out of the blue. In fact, besides myself, there was one other parent there. The rest of the folks were related to the Alliance, Broad, or Seattle U, with some other educators there whom I didn’t recognize. Someone thought that the comment had been staged, but I don’t know. “There was another question about continuing education for teachers and its value… same answer… and another question about how they would evaluate teachers whose subjects are, for example, art and foreign languages. The answer was the same as per her presentation. That teachers in those subjects could decide on district wide ‘benchmarks’. “They had us break up into groups to discuss the presentation and I took the opportunity to get more information from one of the questioners on the McKinsey Company, the Center for Reinventing Public Education, and other good stuff. “FYI. The League of Education Voters is associated with this Alliance group. They have someone representing them on the Alliance Emeritus Board. They also got a mention during the meeting. My buddy, Brad Bernatek, is on the Alliance’s ‘Educational Investments Task Force’. Also, 46% of the Alliance’s total grant revenue comes from Gates, the Broad, the Stuart Foundation and Boeing. The Alliance also mentions ‘Stand for Children’ in their literature as a local education advocacy group that they recommend joining. “That’s all I got out of that meeting, except for the cool stuff that I found out about. I will share that at a later time. “Imagine an organization that decides to assess doctor preparation by establishing its own standards rather than those embraced by the American Medical Association. Or something similar for lawyers, engineers, nurses, police officers, etc. “This is what NCTQ does. “Whatever our own major professional associations subscribe to, or whatever the research shows, NCTQ assumes its own standards and then assesses our programs based on them. In addition, they do no direct observations of practice, no interviewing of students and school and community partners, and very little follow up of the factual errors that we call to their attention. They simply look at course syllabi, our website and the University catalog, all very limited indicators of what actually takes place in our courses and field experiences and intended as such. “How can one come to grand conclusions about the quality of an elementary education or special education program from such limited information? “Apparently NCTQ thinks you can. In my view, and those of my colleagues, their efforts would not be sufficient to pass an undergraduate research course. “— The process for selecting and analyzing data was simplistic and narrow in focus, and did not follow appropriate, credible research protocol. “— The research base for the standards is scant, and the focus is on measuring program inputs rather than program outcomes, such as teacher candidate performance. “— Recognized professional standards, such as those adopted by states and/or accrediting bodies, were not used in this review process. “— The standards proposed by NCTQ were unavailable at the time institutions first started this process, and rubrics and/or decision rules underlying ratings continue to be withheld. “— Archived websites/course syllabi were used for the review at some institutions, which resulted in NCTQ basing findings on misinformation. “— In multiple instances, course syllabi or other materials from the wrong institutions were used as part of the review. “— Within some institutions, NCTQ staff requested materials from programs not part of the original review. “— Factual errors, including institutions’ names, were not corrected in subsequent NCTQ drafts. “— Initial drafts submitted for review contained multiple errors, and, though NCTQ invited institutional responses, the final study fails to reflect all corrections to those errors. “— It appears that reviewers had difficulty understanding the content of some course syllabi and how this content related to NCTQ’s required standards. “— The credentials and experience of the reviewers were not disclosed, so it is difficult to determine the credibility of the reviewers. “If you want to have a look at Kate’s CV and past experience, you just have to click on her name on the NCTQ website—pretty straight forward. “Or, for that matter, give her a ring at her office. “Did you know she started a school for underprivileged boys from inner city Baltimore, and that shucks, she didn’t do it to win praise from people like you? She has devoted her entire life to improving education standards for schools, and she is doing this, and trying her best to think outside-the-box in a creative, constructive way. “Her entire staff is made up of former public school teachers. Did you know that? All of the people producing and advocating this research—every single one of them—has taught in a classroom. “What I find really hilarious is that you think that NCTQ and the rest of the cohort are out to hurt teachers or something? No. They want to get good teachers into school classrooms. “Do you, as a parent—-which you so often like to point out—have issues with people who are trying to find other ways to evaluate our nation’s teachers? “Our government is not performing. “Mrs. Walsh’s statement about Masters degrees is true. “Look at what you have written. You’re getting fired up about people who are actually trying to do good in this world. Pick a different victim. As a parent, look at people who are trying to harm your children, and make it a more challenging world for them. “There is a difference between a curriculum vitae, and experiences that would fit onto a resume. “A curriculum vitae describes the education and experiences directly involved in an individual’s choice of profession. Ms. Walsh did not come to the table with any sort of background in education. “Yes, I am aware of the fact that she established a school for boys, but just like Rhee established an organization after two years as a Teach for America recruit, it does not tell me anything, but that she was possibly an entrepreneur. That was how she introduced herself when she made her presentation of the NCTQ report here in Seattle. “Yes, she established a school for boys, but that was it—that was the extent of her involvement closely pertaining to the field of education. 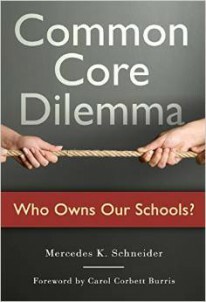 “And yes, there are many people opening schools these days… for tax shelters, for profit, or for altruistic reasons, but it has nothing to do with their understanding of children, of how they learn, or their long term experience in the field of education, particularly in the area of teaching. “My point is before you hang your hat on any report or statement, you need to do your homework. “Ms. Walsh, along with US News and World Report, will be issuing a report with a lot of hoopla next year, and it will have some bearing on how people evaluate an educational institution. Based on the report that was done by her organization regarding the colleges that prepare teachers in Illinois, I would say that Ms. Walsh and her staff will need to consider taking a far more rigorous and scientific approach to how a school is evaluated. “So far, she has gone from town-to-town making the same indictment on teachers, coming up with the same facts. I find that suspicious at best. “How can you go from one school district to the next, and still have the same results with little-to-no variation? “Statistically, that is not possible. “Or is this simply a witch hunt where the verdict for all teachers around the country is… ‘Guilty as charged!’? “Yes, I am skeptical, and the statement issued by the schools in Illinois bear out my doubts. Before she takes on the responsibility of evaluating 100 schools of education around the country, she better make sure that she approaches this ‘study’ in a more scientific, professional, and thorough manner. “And, to the point of teachers, there are evaluation systems in place. One is a four-tiered system that our state superintendent of schools has endorsed, and that is supported by our local teachers’ union. If the teachers in Seattle are confident that it will work, then I have the confidence that it will also. It has been explained to me by the union president, and it appears to be rational and reasonable. “The other point about teachers is that they are not the reason for our faltering educational system. See: Where Do We Go From Here?. “A lack of funding over four decades has left our educational system in shambles. We have schools that are legally unsafe, children do not have enough materials, books or workbooks to help them achieve the best that they can be. “In Seattle, the students get ‘Art on a cart’ because of a lack of funding in many schools. Schools have had to shorten their days and increase class sizes due to a lack of funding. If we financially supported our educational system to the degree that we do our military/industrial complex, or to the extent that we bailed out several corporations or subsidize oil companies, we would not be where we are today. Time to set up a rating system for the fraudulent rating systems. There is no shame, guilt, embarrassment in curbing out and publicizing this and other crud funded by Gates. NCTQ: Letter grade of F.
Here’s a new name for the architect of bad science.